Yehliu aka Yeliou when you search on Google maps, is a cape on the northern coast of Taiwan, about 20km from Taipei City. 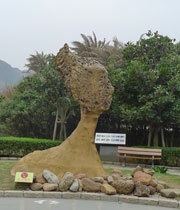 We visited the Yehliu Geopark (野柳地質公園), the first stop of our Taipei Outskirts: Yehliu-Jiufen-Keelung trip. 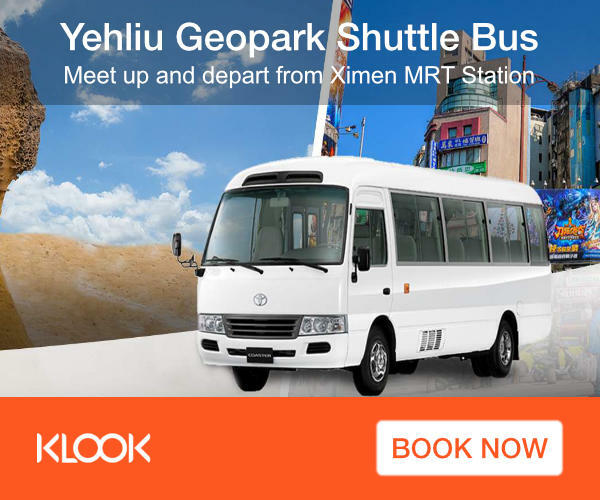 At the Geopark, the attractions are the fascinating rock formations with names such as “Fairy Shoe”, “Bee Hive”, “Ginger Rocks” and “Sea Candles”. 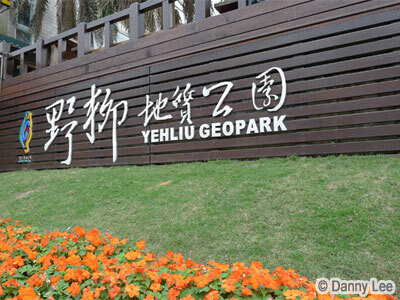 The entrance fee to the Yehliu Geopark is NT$50. Located at the tip of the cape flanked by the sea on both sides, the scenery here is simply fantastic and it’s a haven for photography buffs! If you are going there during the winter season, bring along a good windbreaker and wear warm clothing. The wind here is strong and the coldness really bites! Yes! We went there to see the famous “Queen’s Head”. 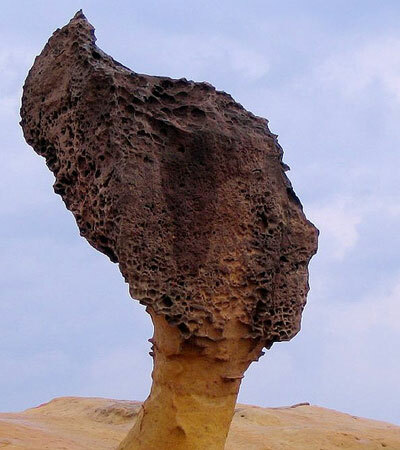 The Queen’s Head is a rock formation that looks like a queen’s head, formed by many years of coastal erosion. You will not miss this attraction because there are always busload of tourists queuing up to take photos with it. We didn’t want to waste time queuing to take picture of a rock. Instead we took a shot of the replica near the entrance of the park. So thoughtful of the Taiwanese government to have a replica of the icon when they knew the continued erosion will “retire” the actual head soon! The perfect way to end our visit to Yehliu is to go shopping! There is a covered walkway lined with stores selling local seafood produce just outside the park entrance. 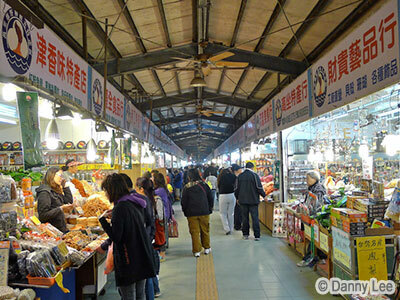 You can buy lots of dried seafood like squid, anchovies, etc. They offer free tasting as well. I had my first spicy ginger tea (Jiang Mu Cha) and it was nice and warmed me up when the temperature outside was cold and the wind was strong. Shopping Tip: Don’t rush to buy from the first few stores you see on your way in, take your time to walk through the whole street first. 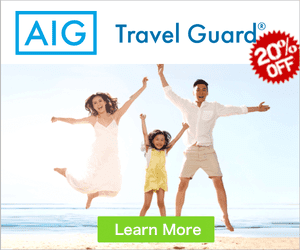 You will find the stores at the other end offer lower prices! We learnt the expensive way by getting too excited and bought from the very first store!